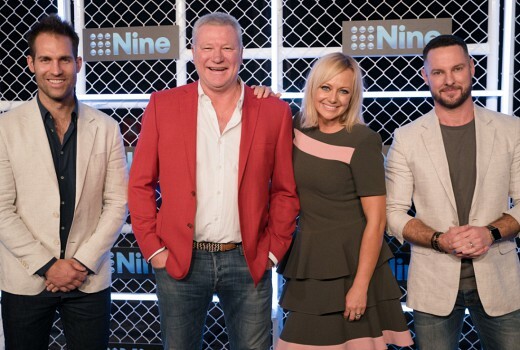 When Nine staged its Upfronts in October last year many observers remarked at how many shows were returning in 2019. Nearly all the key titles are back this year, an envious starting point for Director of Programming Hamish Turner. Leading the charge is the 6th season of Married at First Sight, already dominating the competitive Reality TV wars. Despite the show’s TV success only one couple remain together (Season 2) but Turner is confident of this year’s storylines. “True love is found! We definitely head more with the love, but we lean into the drama as well. So it’s a delicate balance between the two that we aim for and I think we’ve found the right mix this year,” he says. “There are fantastic characters and at the end of it we may have found some of our strongest couples yet. 10 more couples will be matched and merged in no-holds-barred weddings & dinner parties. With passion comes emotion and fraying tempers, all in the quest for love, right? “There’s no denying it’s an evocative environment they are put in, and that’s where we see the drama coming to the front. When you are shooting something sometimes it is shown on screen. But we don’t shy away from the drama. Nine has also benefited from having the Australian Open (“which we’ve always been very envious of”) whilst Seven has made the bold decision to move My Kitchen Rules to 7pm, which Turner concedes caught Nine by surprise. A Current Affair will not be moving. ” They are saying it’s because of the Cricket but strategically I think they want to get in before Married. It was a surprise, but in some ways not surprising,” says Turner. 60 Minutes returns with new reporter Sarah Abo poached from SBS while 2 part doco Murder, Lies & Alibis from producer Mark Llewellyn is the first of four true crime tales to screen across the year. “Stylistically it is really heightened with fantastic storytelling. There is new evidence brought to the table that has never been seen before. I think a lot of jaws will hit the ground,” he suggests. Nine has also commissioned a new season of Australian Crime Stories from journalist Adam Shand. Next week Travel Guides returns for its third season in Hawaii with a new cast addition, newlyweds Deepesh & Sage. The first drama for 2019 is 8 part murder mystery Bad Mothers from Jungle Entertainment featuring Tess Haubrich, Mandy McElhinney, Shalom Brune-Franklin, Jessica Tovey, Melissa George, Daniel MacPherson & Don Hany. “It’s a formidable cast, and while it has self-contained elements it is the serialised narrative that pulls you across. There’s a murder at the top and this group of mothers come together and share the love, the loss, trials and tribulations,” Turner explains. Doctor Doctor will return for its 4th season later in the year. 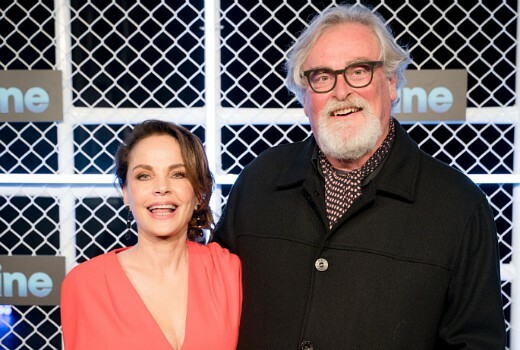 Nostalgic drama Seachange will screen towards the end of the year with Sigrid Thornton & John Howard returning. It is currently at scripting & casting stages, and Nine is keeping its options open on where it will film, including whether that involves a return to Barwon Heads. “We are still scouting locations but for all intents and purposes it is ‘Pearl Bay,'” he confirms. Also announced is a revival for Halifax: Retribution with Rebecca Gibney, although not committed to screen in 2019. Young Sheldon returns next week in a year that will signal the end of The Big Bang Theory, whilst new US medical drama New Amsterdam debuted last night. “It’s a fantastic ensemble and done really well in the US so we expect it to do well with the MAFS audience. It’s consistent in its storytelling with well-made self-contained storylines,” he continues. Acclaimed documentary veteran Sir David Attenborough’s latest series is bound to be a crowd-pleaser. 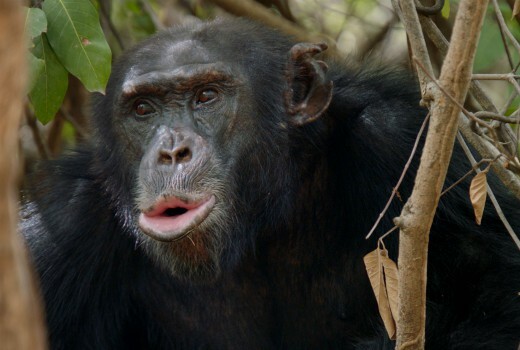 “Dynasties with David Attenborough is another blue chip series that will go on Saturday nights, which we did with Blue Planet II,” he recalls. Lego Masters will see teams of 2 challenged on their design and storytelling skills with 2.5 million Lego bricks for a $100,000 prize. “If you can dream it you can create it,” Turner insists. “Lego Masters plays with the reality format in a very different way. It’s not entirely what you’d expect, which is partly due to Hamish Blake and his performance. The characters are very different to what we’ve seen for this style of show. The Voice is due to begin filming soon with Guy Sebastian joining coaches Delta Goodrem, Kelly Rowland & Boy George. Talkin’ ‘Bout Your Generation will return mid year with Shaun Micallef, along with Australian Ninja Warrior season 3. “Ninja has some format twists, shot in Melbourne with a guaranteed winner. There’s a double warped-wall and we have completely changed the course. “The Block will also start shooting soon. We were really pleased with the result last year and this year we are back to houses at the Oslo Hotel in St. Kilda. Love Island will shift from 9GO to the primary channel, expected to screen in a similar timeslot to 2018. But whether it returns to Mallorca Spain is undecided. 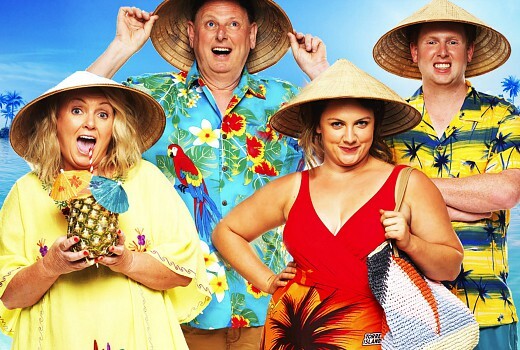 Hamish & Andy will film travel specials Perfect Holiday (“They don’t tell us anything!”) and Turner also puts an end to press speculation over Karl Stefanovic. Also coming are the Academy Awards, ARIA Awards, Logie Awards, NRL, State of Origin, mid year Ashes from the UK and a soon-to-be-revealed AFL show produced by Eddie McGuire’s JamTV -but without McGuire or Sam Newman hosting. 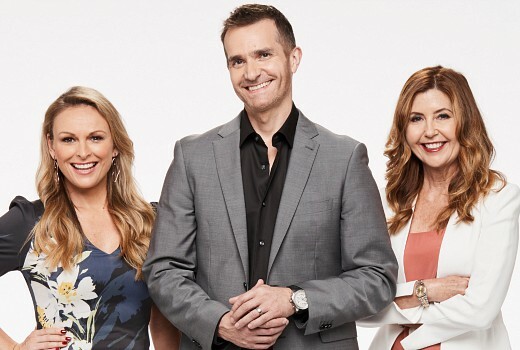 If you hadn’t noticed, the Today show is also building its 2019 identity with Georgie Gardner, Deb Knight and Tom Steinfort. Buying Blind and Date Night will not be returning. Family Food Fight‘s future is yet to be decided. There is more 20 to One, Hot Seat, A Current Affair, RBT, Getaway and new observational Paramedics. “Paramedics was a break out hit. It delivered 700,000+ at 8:30 on a Thursday. It an Ambulance did a great job for us and 10. It’s Factual told in a different way,” he explains. Cannot wait to watch Travel Guides. Love this show.Plus This Time Next Year. I’m not much of a Ch9 watcher at all really. But, intend to give Bad Mothers a try. Also, curious to see what they do with a new run at Seachange and Halifax: Retribution. Only other would be to see what the Lego one is about, The Voice also. Could end up being just watching Bad Mothers though. Envious? I’d call it laziness and complacency. The same old reality shows again, new shows which are nothing short of bizarre (Lego Masters? Are they kidding?). There was not one show on that list which appealed to me and I’m sure I’m not alone. Returnable shows is about minimising risk. Accountants will tell you why it is an envious position. Wow lol cant please you clearly. Agree with Davids statement. Why wouldnt they bring back shows that are highly rated or at the least consistent? I think we know from recent years its hard to get a new show off the ground in the current climate! I actually don’t watch alot of 9 and still don’t intend too. I used too watch The Block and The Voice, gave up on both. Will watch Ninja Warrior and maybe check out Bad Mothers. I still will watch my usual TBBT and Young Sheldon, but that’s it. For me Nines news Melb misses out alot of Melbourne news that 7 has. Yep the Tennis does seem to have got eyeballs on Nine and it will be interesting to see what happens with the last of the Cricket on Nine when The Ashes is shown in August and September. Given by then 10am London time is 7pm Eastern Australian time, that will be a very good time for a start here, with each of the 5 tests putting it squarely up against the AFL and NRL. Plus the added part of Steve Smith, David Warner and Cameron Bancroft possibly being back in the side. Though I guess in NSW and QLD it will end up on 9GEM where as the other States it will be on 9HD, so that may drop the ratings somewhat (but maybe help 9 over the line because of Multi’s). 100% agree, that should help 9. However they would probably schedule NRL around it? Ashes Monday-Thurs and friday footy? 1st Test: Edgbaston: Day One: Aug 01st (Thurs). 2nd Test: Lord’s: Day One: Aug 14th (Weds). 5th Test: The Oval: Day One: Sept 12th (Thurs). So all will be going over the weekend and it’s at the pointy end of both codes season with NRL Finals starting on Sept 13th and AFL ones on Sept 05th, AFL bye before the finals is Aug 30th to Sept 01st so The Ashes misses that one. The Voice Blinds are filming next Wednesday through Saturday. Roughly 8 episodes. I believe its the battle rounds section that is being changed with Delta & Guy VS Kelly & George. This Time Next Year are filming the conclusion (reveal) scenes from one year ago in late Feb. Wouldn’t be surprised to see it on tv earlier. With Love Island on the main channel, Seachange and The Block I can’t see Seven being the most watched channel this year. Network wise they may hold on, but audiences are connecting with Nine’s content on a much deeper level and in much larger volumes than they are Seven’s ageing stockpile. Totally agree. I dont watch barely a thing now off 7 but do find myself coming back to 9 for a few of their shows. Never write off Seven. They are have AFL, Perth and stronger multichannels. Also own more of their own content which allows you more flexibility. Nine has come out strong. The UK Lego masters was ok but the host was a bit drab. The concept itself is good but niche’. Hamish will be a perfect addition for this. Never watched Travel Guides but have heard some great feedback so will give it a go. The new couple are from my local town so excited to see that! Not much of 9 I watch but have been liking Travel Guides lately so plan to stick with that. Halifax would be a good return. I’ll tolerate Lego’s for I can’t tolerate Hamish.